How Artificial Intelligence Can Help Solve The Deadly Pollution Problem Plaguing UK Cities – AND Make Your Daily Commute Faster! Pollution is one of the biggest problems facing the world today, and nowhere is this more visible than the rapidly expanding cities across the globe. In megacity states such as Hong Kong, Tokyo, New York, Los Angeles and Delhi, pollution has become so bad that people are regularly warned to stay indoors to avoid inhaling toxic particulates. In the sprawling urban mass of the Peruvian capital of Lima, the pollution forms an almost ever-present shroud over the city. And while the UK may not have problems quite so profound, they are already a growing smog on the horizon. Air pollution takes more than 7 million lives each year, and around 40,000 premature deaths, including 9000 is London alone, are being linked to air pollution. Rates of asthma are increasing, hospital admissions spike when air pollution worsens, and studies have shown that children living in polluted areas are likely to grow up with smaller lungs, and a risk of lifelong health problems. Perhaps more worryingly, toxic air is now being linked with other medical conditions, such as heart disease, Alzheimer’s and Parkinson’s. One of the biggest causes of air pollution is traffic: the higher the traffic density in an area, the higher the air pollution tends to be. Traffic jams are among the biggest offenders, with exhausts spewing out toxic fumes as they trundle slowly through congested areas. Experts researchers have suggested that congestion reduction can take two forms – ‘temporary’, where the measures are simply a short term fix, and virtuous, where long-term behavior change is implemented. 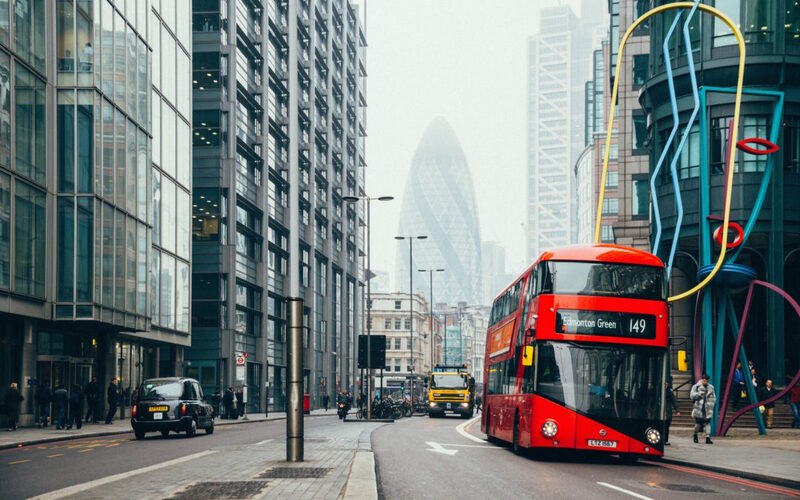 Currently most major cities including London, Birmingham, Leeds, Southampton and London are looking to ‘temporary’ measures to help – from widening roads and encouraging public transport use to charging polluting vehicles of renting a certain area. It is accepted however that none of these solutions can work long-term – but the growing advancements in Artificial Intelligence, coupled with some radical thinking about the future of public transport, could just be the answer. And as an added bonus, it could even make your trip to work faster! One of the key aims of reducing traffic congestion and, as a result, pollution, is increasing the use of public transport. Bus companies across the UK have already put huge investment into making their vehicles greener, and if they can encourage more people to give up their cars it takes a huge number of polluting vehicles out of the network. Key to this however is making sure that companies have the capacity to deal with the volume of passengers they carry, ensuring that the companies are sending their vehicles on the right routes to get the largest number of people from their own personal ‘A to B’ in aa quick and cost-efficient manner, and that the road networks are tweaked (traffic light timing, bus lanes and other ‘roadblocks’) to assist this. All of this requires a huge amount of information to be gathered, analyzed and sorted in real time, something which until recently might not have been considered possible. But now it is rapidly becoming a reality. As ever, to look to the future we should look to the East, where Chinese technology giant Alibaba has already made the first strides towards a truly ‘Smart City’ urban transport solution. A demonstration of the interface for the Hangzhou City Brain. Alibaba’s City Brain project, which started out in the city of Hangzhou in Zhejiang province, is soon to expand to Kuala Lumpur. 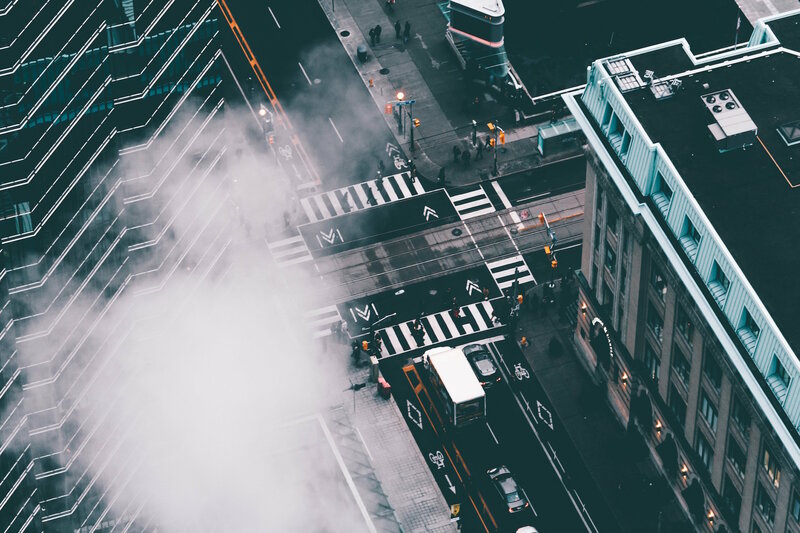 Its aim is to create a cloud-based system where information about a city, and as a result everyone in it, is stored and used to control the city. City Brain lets artificial intelligence (AI) control a city. Large amounts of data are gathered, processed by algorithms in supercomputers, then fed it back into systems around the city. The Hangzhou started out looking at the issue of traffic. In 2015, Hangzhou ranked fifth in China and 30th globally global congestion. To reduce this, City Brain began by monitoring traffic, using data from the transportation bureau, public transportation systems, a mapping app and hundreds of thousands of cameras. As a result, traffic speed in the district was increased by 15 per cent during the first year of operation, a result of fewer traffic jams which, in turn meant less pollution. At LetsJoin we are already working with public transport providers across the UK to map journey data on millions of commuters, creating a clearer picture than ever before of both passenger and vehicle flow. Ultimately the aim is to create more efficient routes which best serve the greatest number of people, meaning fewer buses, less congestion and less pollution. And as has long been argued by city planners, if public transport can be made faster and more reliable for commuters, it will reduce the number of vehicles on the road as people ditch their cars for the daily commute and opt for public transport instead. And that means a cleaner, healthier and faster future for all of us.